Shaft - Regular flex AWT 2.0 steel shafts 0.25 inches longer, for golfers with average swing speeds. Condition - Very Good, PING's G irons introduced in 2016 offer faster ball speeds providing long distance soft landing shots and an extreme level of forgiveness through the PING COR-Eye thin face technology. Condition - Good, PING's G irons introduced in 2016 offer faster ball speeds providing long distance soft landing shots and an extreme level of forgiveness through the PING COR-Eye thin face technology. The PING ‘G’ game improvement Irons released in 2016 utilise the PING COR-Eye technology which provides four times the amount of face flexing providing faster ball speeds across the hotter face. This gain in ball speed generates additional height for greater carry and steeper landing angles. 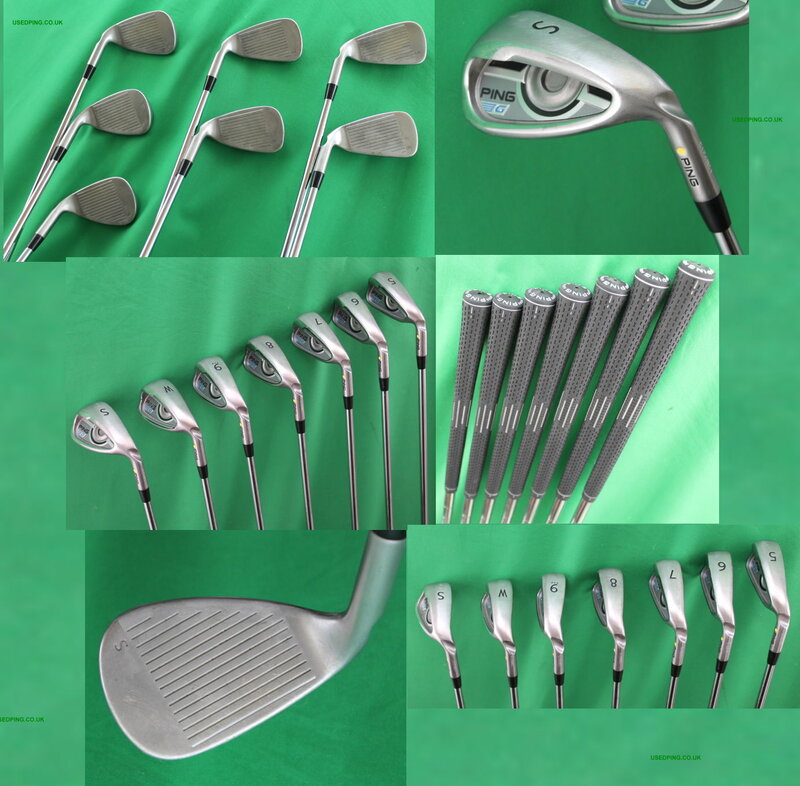 The G Irons are available from 4-Iron to 9-Iron with Pitching, Utility, Sand and Lob Wedges. The G irons provide the big distance gains by using a heat treated 17-4 alloy that is stronger than the tradition materials and allows for a thinner face with more flex and improved stability. The weight saved from the thinner face is used to increase the toe and perimeter weighting providing extreme forgiveness. The Custom Tuning Port is connected to the sole to create a deeper centre of gravity that provides a higher launch angle for an increased MOI for greater accuracy and forgiveness. The PING G Irons have a thin top rail, satin-blast finish and appropriate offset. The PING steel AWT 2.0 shaft available in Regular flex offering a mid to high launch angle, Stiff flex offering a mid launch angle and the Extra Stiff flex offer in a low to mid launch angle. The graphite PING CFS shaft available in SR65 (Soft / Regular flex) with a high launch angle, the R70 (Regular flex) offering a mid to high launch angle and the S80 (Stiff flex) offing a mid launch angle. The Rifle Project X steel shaft with a low to mid launch angle available in 5.0 (Regular) and 6.0 (stiff +) flexes. The Dynamic Gold steel shaft in Stiff flex S300 with a mid to low launch angle and the extra stiff flex X100 steel shafts with a low launch angle. The N.S. Pro modus 3 105 steel shaft available in stiff flex and extra stiff flex with a mid to high launch angle. The True Temper XP 95 steel shaft available in R300 regular flex and S300 stiff flex both offering a high launch angle. "My order has just been delivered and I am delighted with the quality of my purchase. The Ping G irons are exactly as described and I now look forward to using them on the course. This is the third time that I have used your services which, as a retired customer/product support professional, I consider to be exemplary and which I would not hesitate to commend to others." - A. McManmon, Lancashire. "The club arrived this afternoon while I was out on the practice ground. What I really admire about your service is the accuracy of your product description. This is the 2nd time I have bought from you and, like the first time, you get exactly what you are told you will get. I now have a very nice set of clubs"
"I have just received my order. 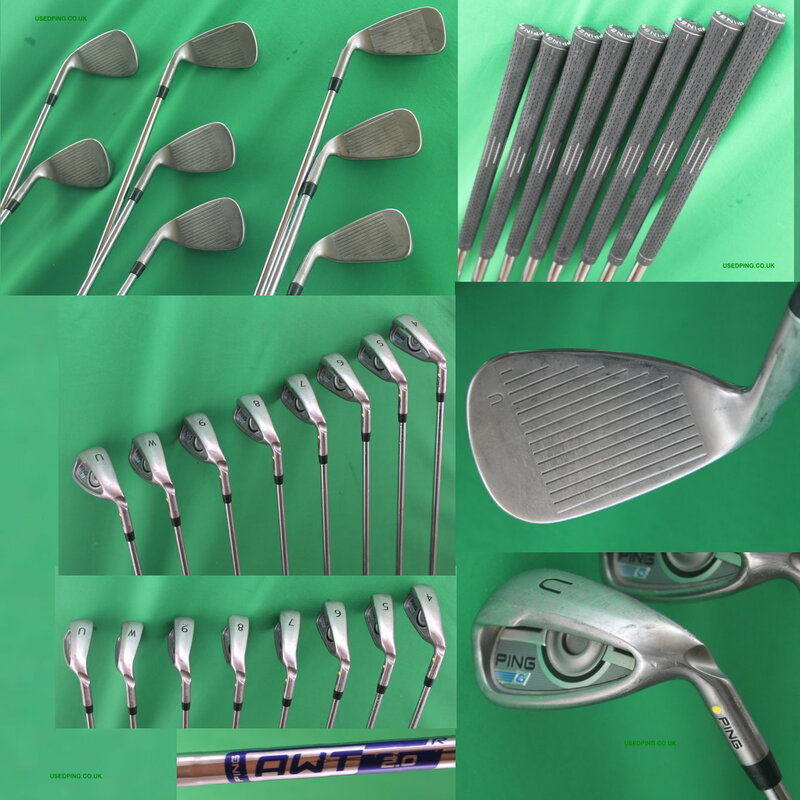 The clubs - Heads/Shafts/Grips are all in very good condition. Delivery times and communications with the driver were excellent. So well done all round and thanks for your prompt & professional service." 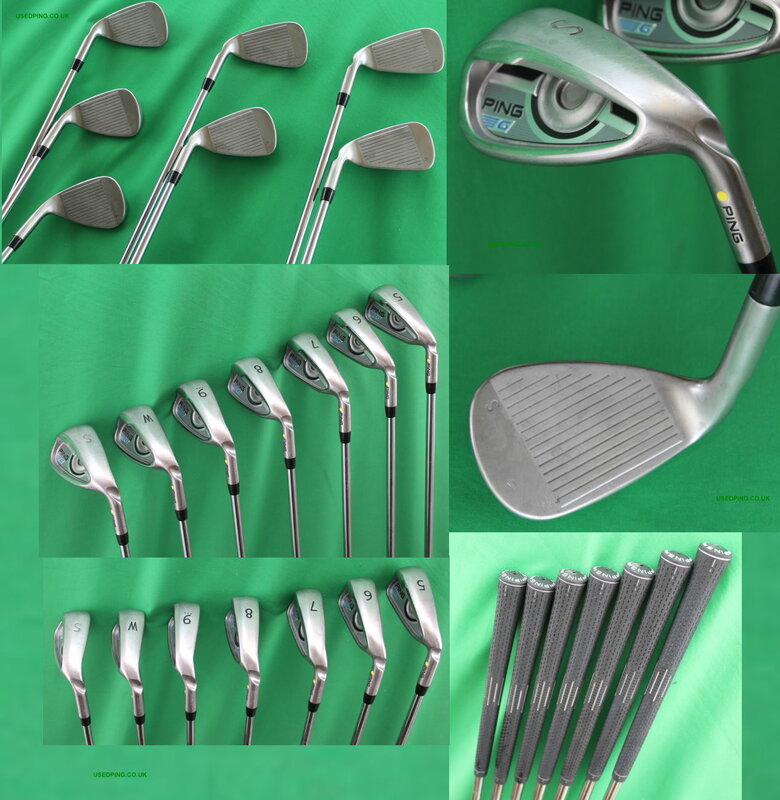 "Many thanks for your prompt delivery of the irons which are in excellent condition. I am extremely pleased with them and would not hesitate to use your service again."